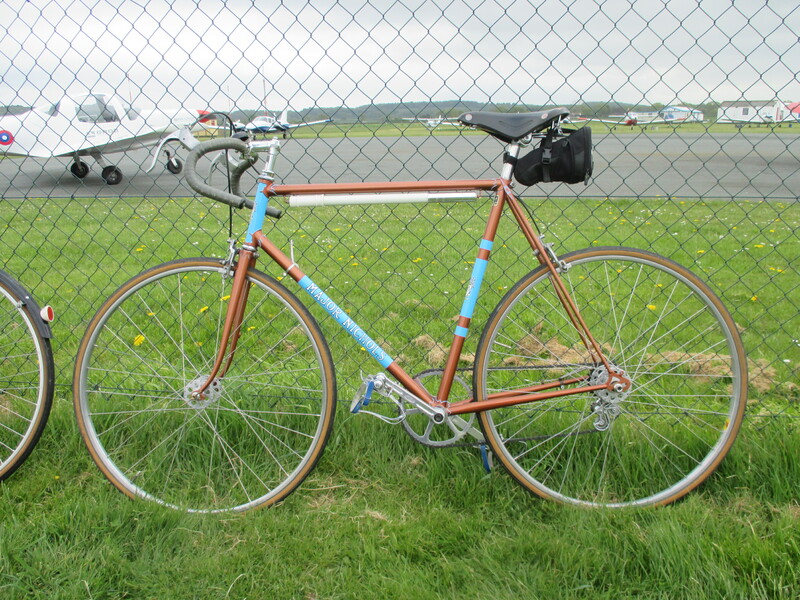 This is one of a very few known surviving early Major builds. Presently it is in the earliest half dozen. 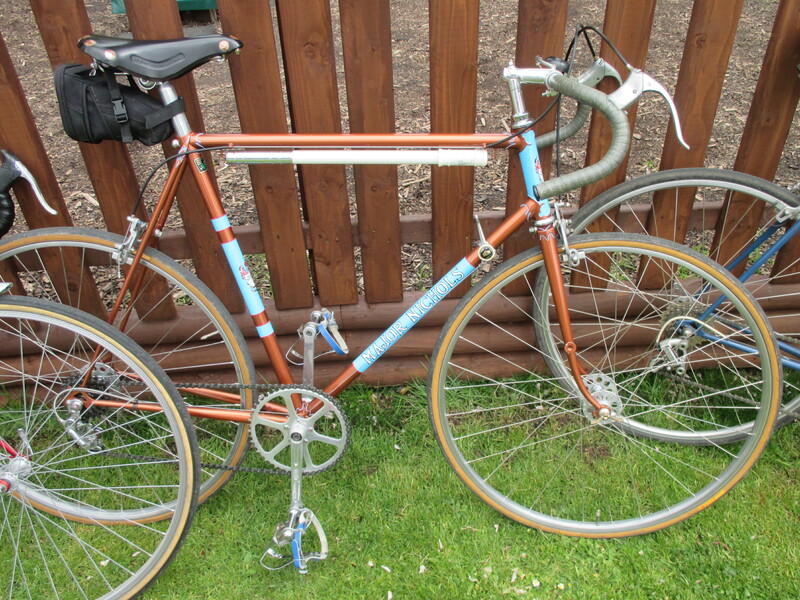 It was owned by Tim Harris until it moved to Robin Walker and then to Geoff Evans who, I understand had it refinished by Argos. It has a duplicated number but fortunately we also know that bike and Iits components and we know that they are not identical twins! The quality of this build is very good. His box of parts was being established here as we see through to the early 60S when new parts were being added. 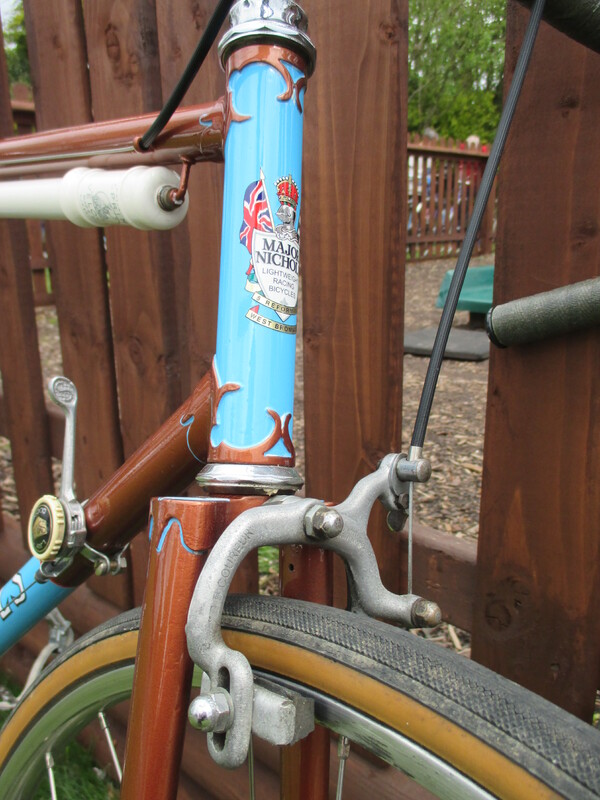 This frame has Reynolds 531 DB tubing, my favourite Oscar Egg Superchampion lugs in the Bob Jackson pseudo Nervex pattern, well refined and filed. The pre-refinish photo of the seatcluster shows his approach to the topeye of the slim, drawn out and faired in pencil seat stay and it’s hints at the move towards his first full wrapovers. 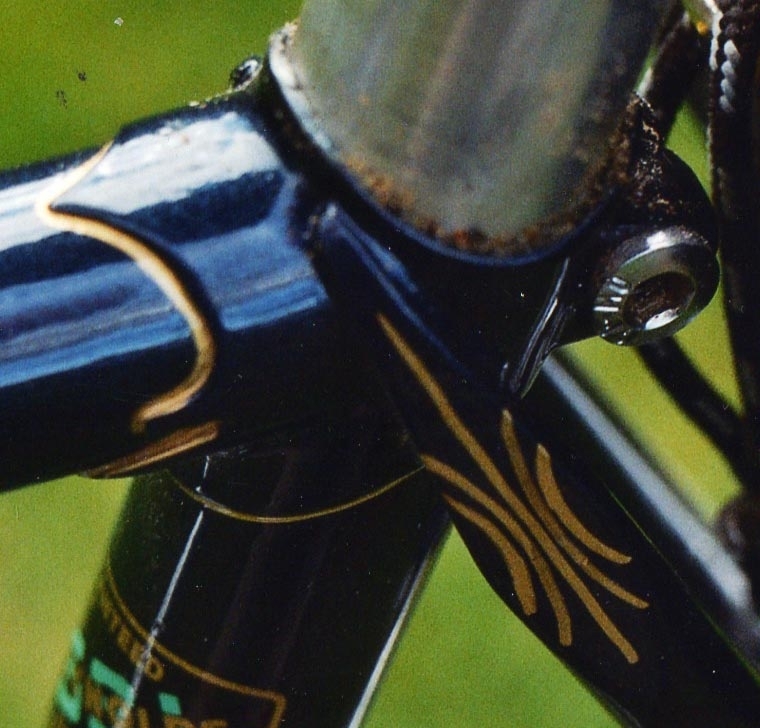 The slim refined forks have an Ecla ‘H’ crown. The paint finish in this period seems significantly thicker than in later years. I particularly like the original top eye decoration and was surprised that it was changed. 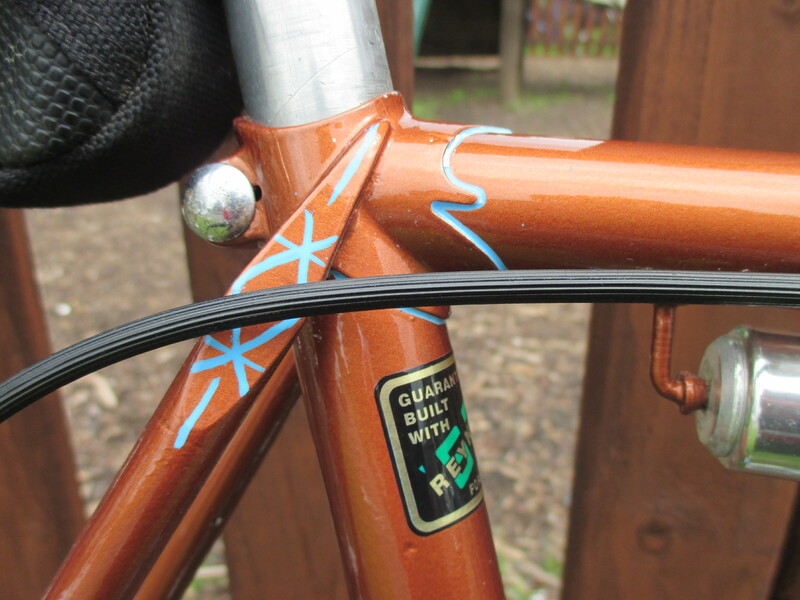 The seat and chainstay bridges are straight and not reinforced. 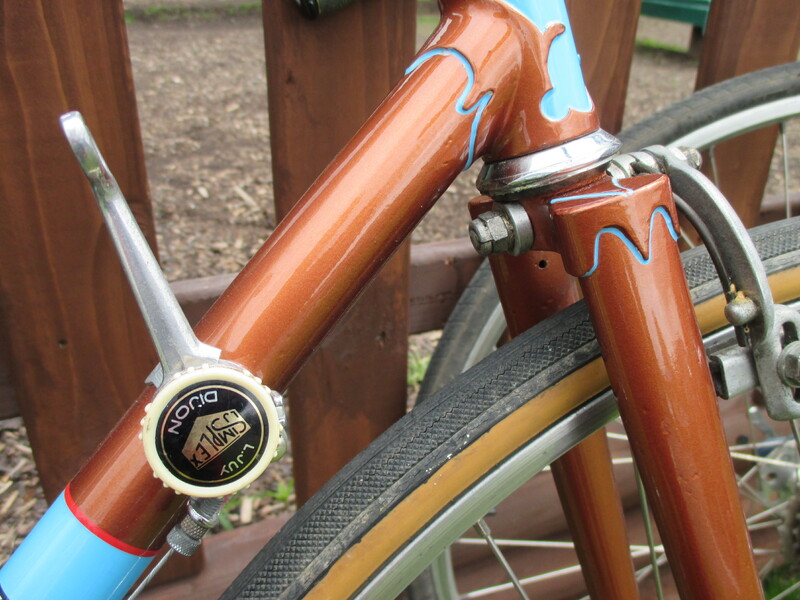 The braze ons are top tube rear brake cable stops at 4 o’clock on the off side and pump pegs below. 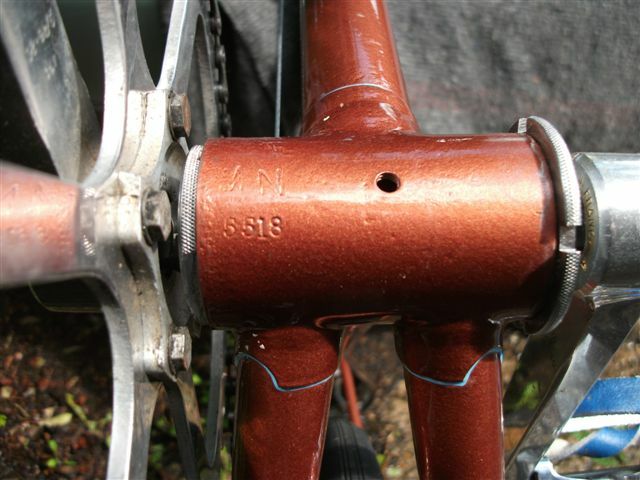 There a front derailler cable guide and a grease point on the bottom bracket and a lamp boss on the off side fork blade. 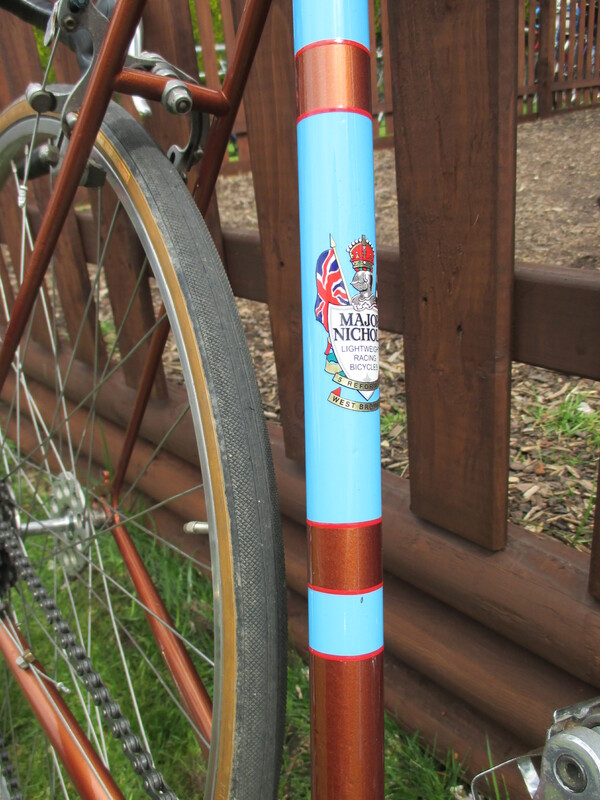 Mudguard eyes are on the dropouts. 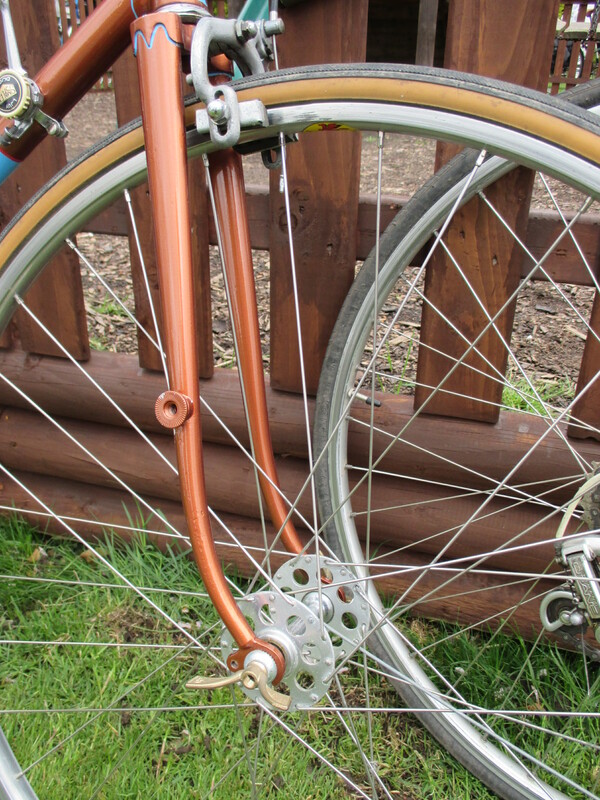 The frame is upright and has only a small amount of fork relief and this suggests time-trialling as its main purpose as there will be toe clip overlap to consider for the rider.